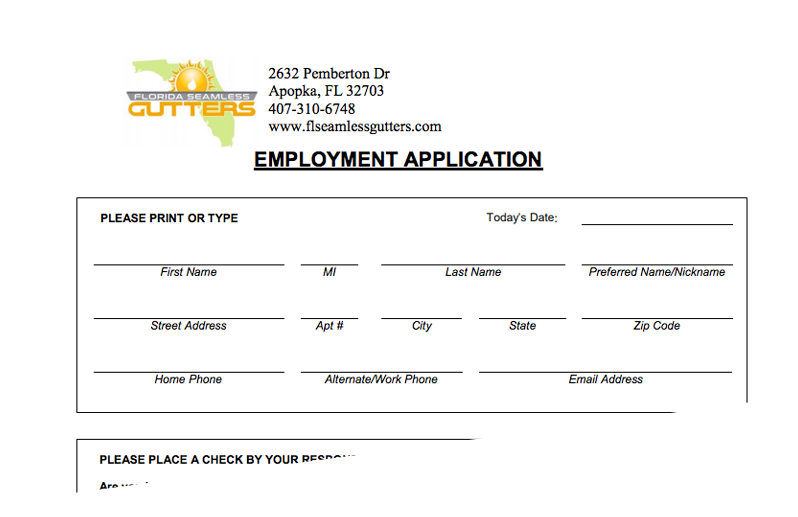 Florida Seamless Gutters is always looking for talented, motivated, and focused individuals interested in joining our amazing team. We look forward to hearing from you. Complete the application and send it back to us.